From Spider-Man to Superman, rare editions of beloved comic books made impressive sales at auction. A copy of DC Comics Flash #105 (Feb.-Mar. 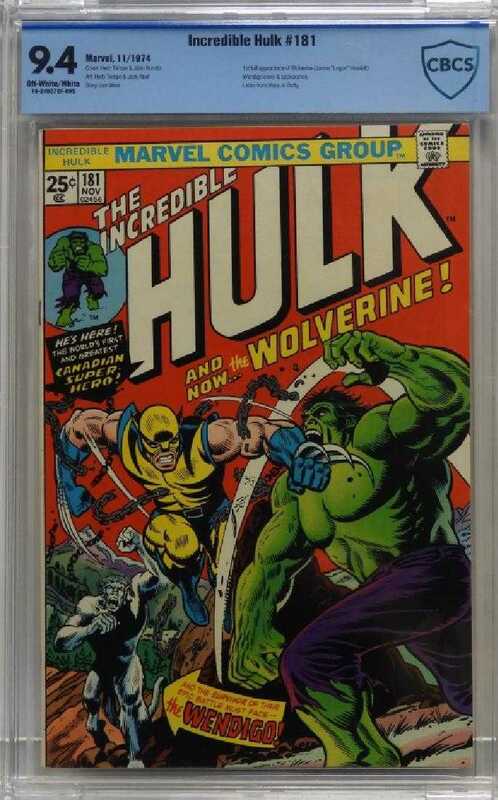 1959) in superb condition, with a grade of CBCS 9.0, soared to $20,000 at the auction. With an estimate of $15,000-$25,000, the copy of Flash #105 was expected to do well. The book featured the first Silver Age Flash in his own title, plus the first appearance and origin of Mirror Master and the origin of Flash retold. When compared to the CGC census 6 in the 9.0 grade, only five are graded higher. It’s ranked #13 on Overstreet’s list of the top 50 Silver Age comics. While comic books reigned supreme, there were other items ranging from Star Wars collectibles to 16 unopened packs of 1985 Garbage Pail Kids cards with the original display box. The comics featured great single graded books to amazing runs and lots, at price points that appealed to all levels of collector. Actually, three copies of Marvel Comics Incredible Hulk #181 (Nov. 1974), featuring the first full appearance of Wolverine, came up for bid. 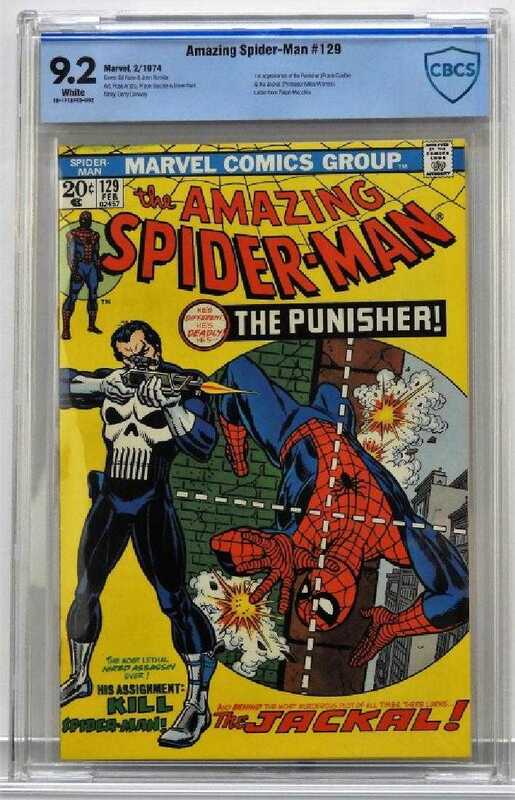 One was signed by the late comic book legend Stan Lee and sold for $2,812. Another Hulk was in great condition and brought $8,125. 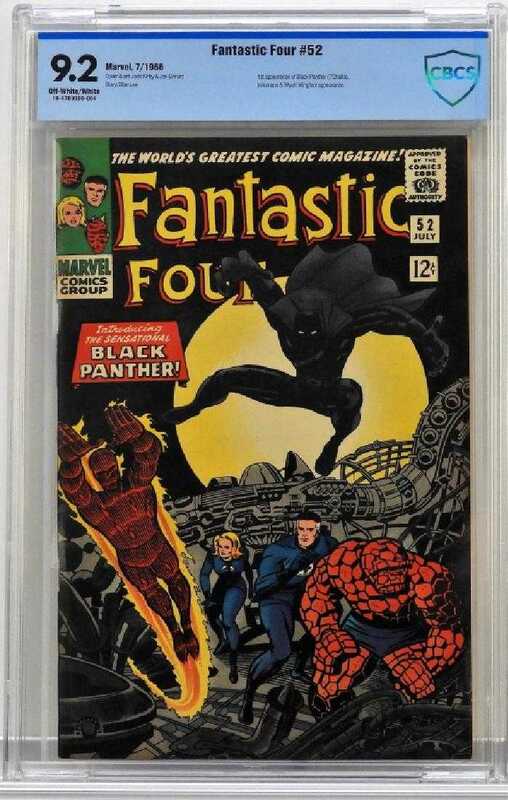 A new auction record was set for a copy of Marvel Comics Fantastic Four #52 (July 1966) in the CBCS 9.2 grade. The book featured the first appearance of Black Panther, and had appearances by Inhumans and Wyatt Wingfoot. In overall very good condition, the comic book made $7,500. 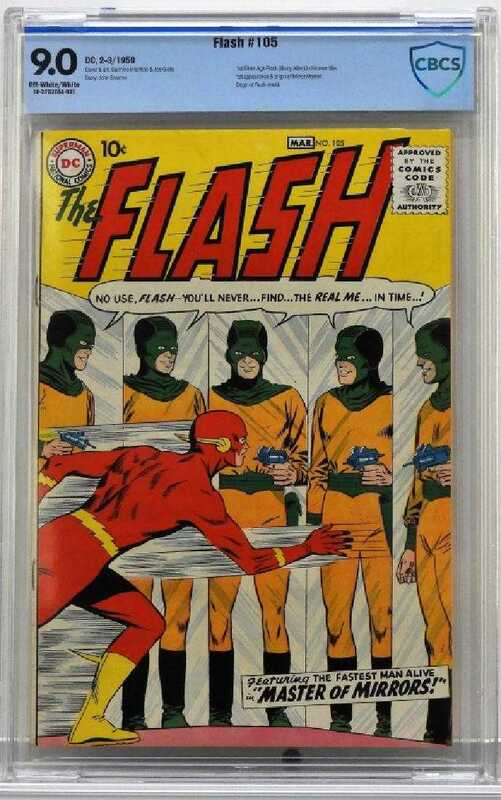 Flash proved to be popular with collectors. 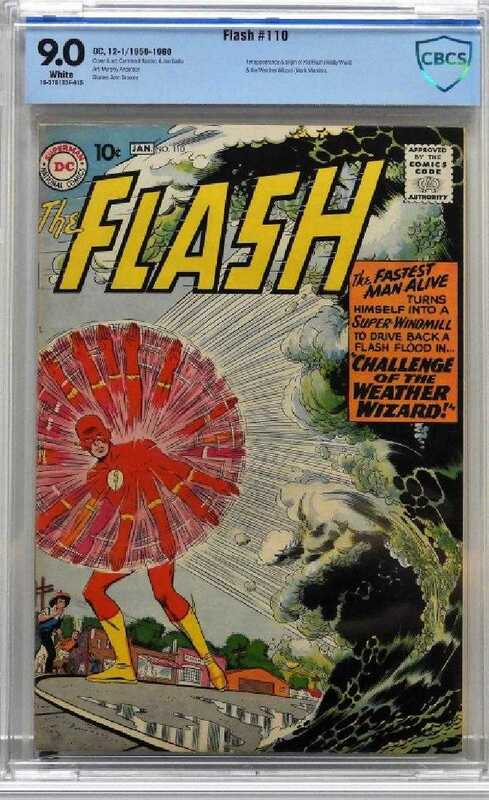 In addition to the sale’s top lot, also sold was a copy of DC Comics Flash #110 (Dec.-Jan., 1959-60), the first appearance of Kid Flash (Wally West) and Weather Wizard, graded CBCS 9.0 ($5,625); and a copy of DC Comics Flash #106 (Apr.-May 1959), the first appearance of Gorilla Grodd and Pied Piper, graded CBCS 8.5 ($4,688). A copy of Marvel Comics Amazing Spider-Man #1 (March 1963), graded CBCS 1.8, the second appearance of Spider-Man and Aunt May and the first appearance of J. Jonah Jameson and the Chameleon, fetched $4,375; while a copy of Marvel Comics Amazing Spider-Man #129 (Feb. 1974), graded CBCS 9.2, the first appearance of the Punisher and the Jackal, realized $3,125. Two comic books sold for identical prices of $3,750. 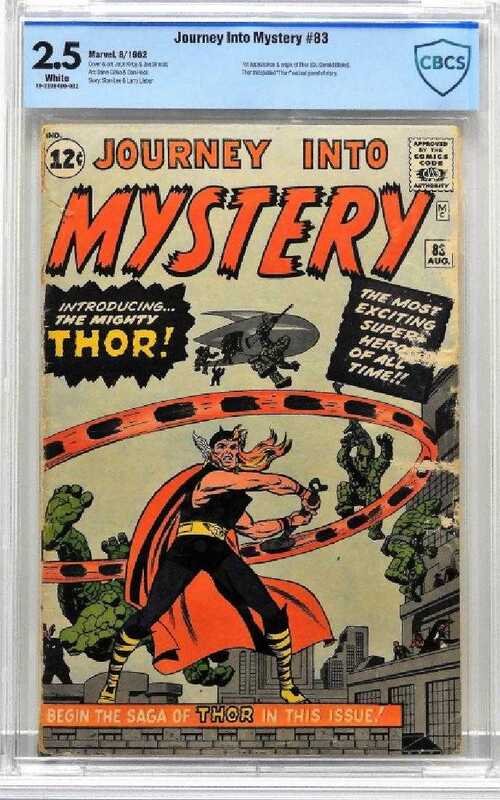 One was a copy of Marvel Comics Journey into Mystery #83 (Aug. 1962), graded CBCS 2.5, the first appearance and origin of Thor. 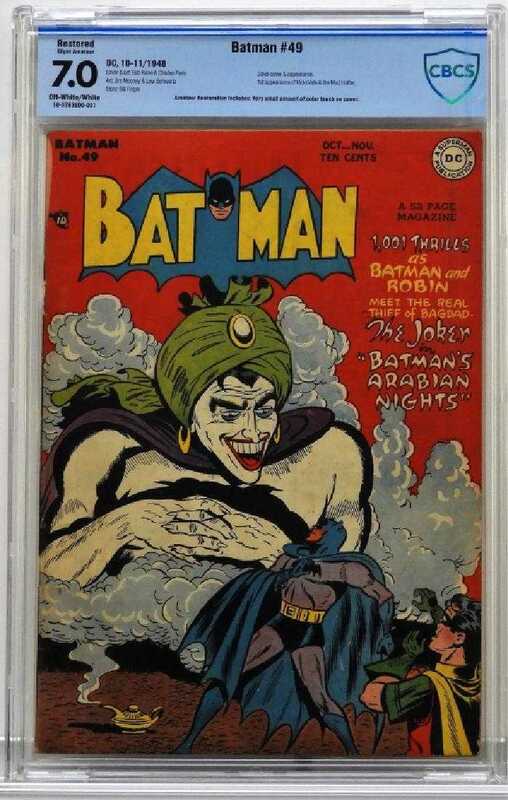 The second was a copy of DC Comics Batman #49 (Oct.-Nov. 1948), with classic Bob Kane Joker cover art, graded CBCS 7.0 and featuring the first appearance of Vicki Vale and the Mad Hatter.